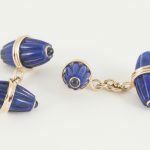 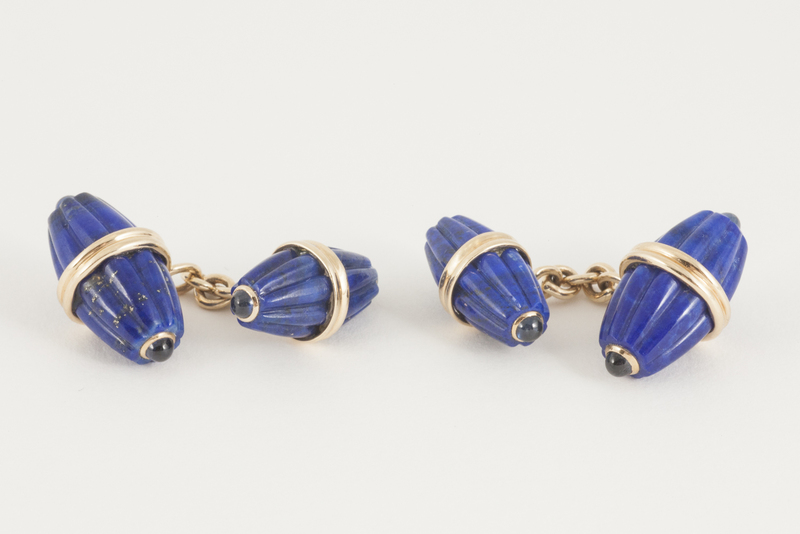 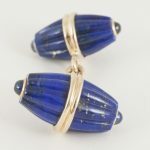 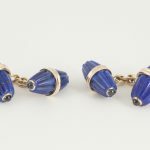 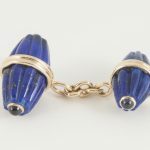 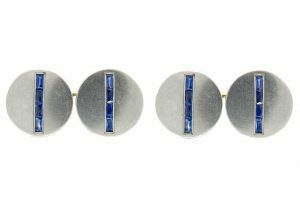 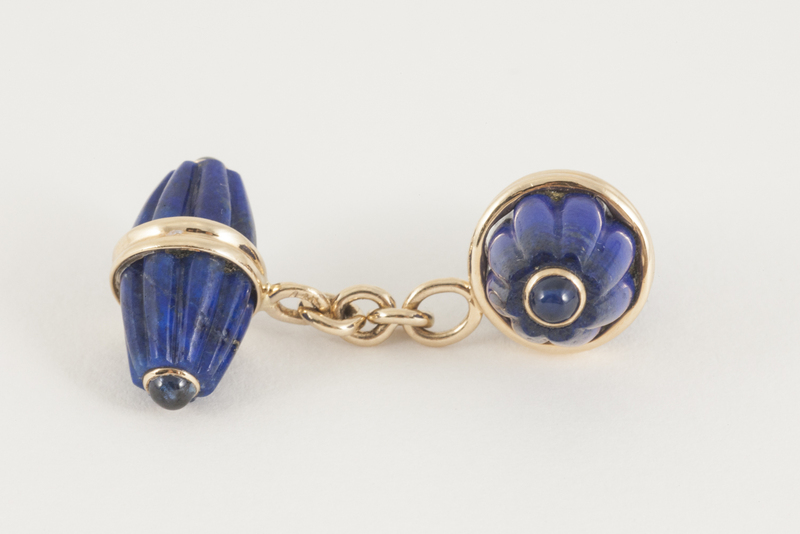 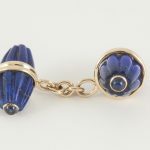 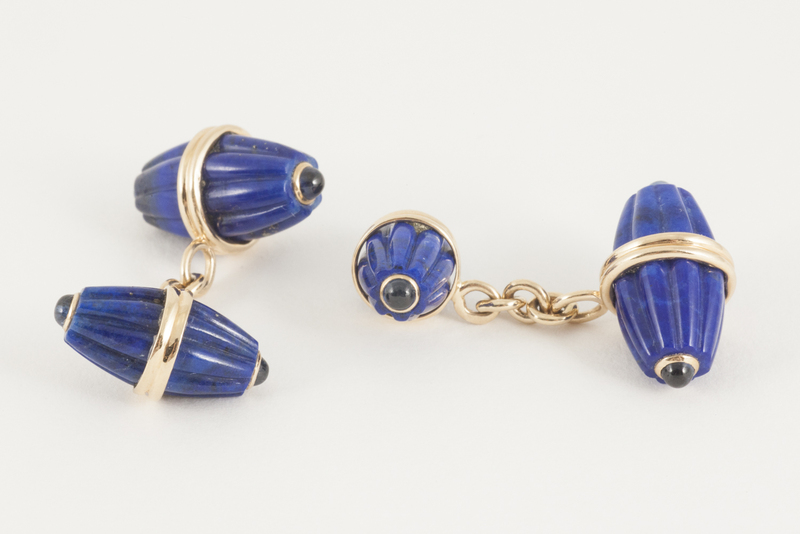 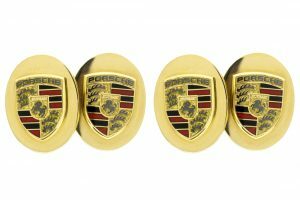 A pair of melon shaped, fluted, lapis lazuli, double sided cufflinks of two sizes, each terminal set with a cabochon sapphire and mounted in 18 karat yellow gold. 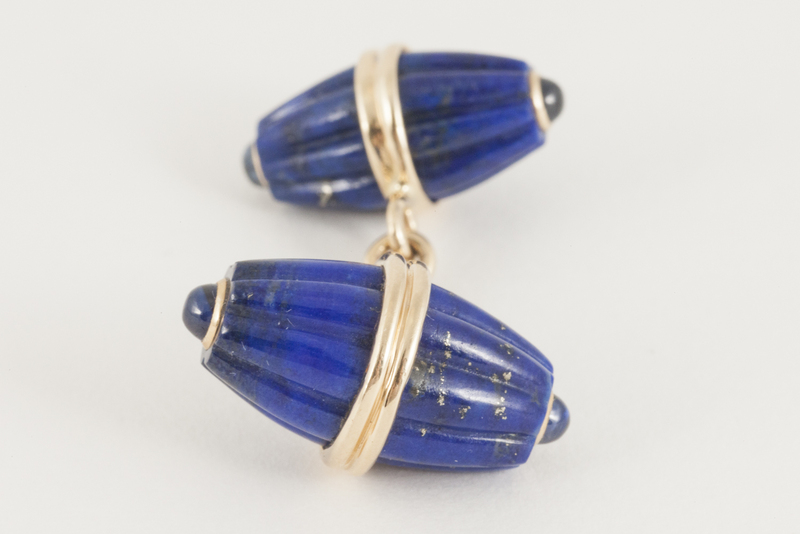 Larger lapis lazuli link measures 20mm in height x 10mm in width. 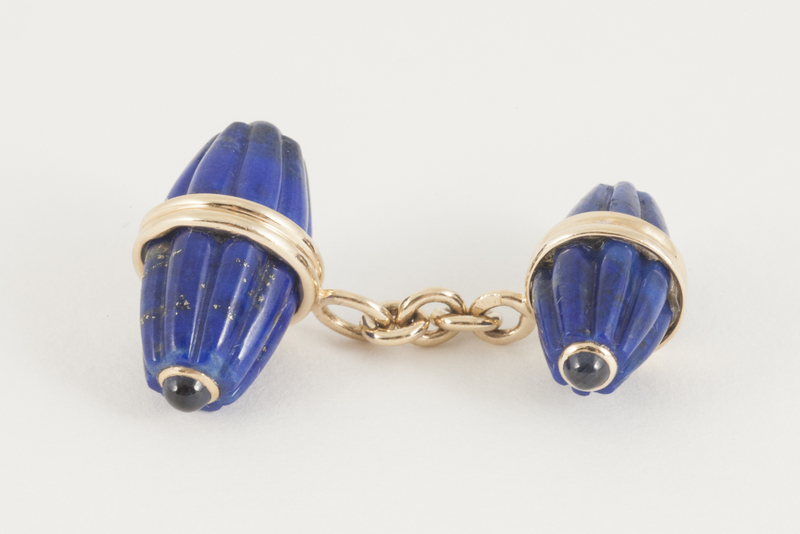 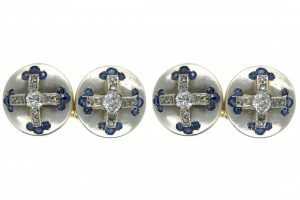 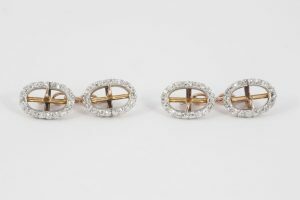 20th century, possibly Italian, circa 1960.